Directed by John M. Chu, “Now You See Me 2” sees the master magicians known as the Four Horsemen return and elevate the limits of stage illusion to new heights to clear their names and ultimately expose the ruthlessness of a dangerous tech magnate. One year after their astonishing Robin Hood-style magic shows win the public’s adulation and confound the FBI, the quartet resurfaces for a dazzling comeback performance that will make their previous escapades seem like child’s play. With the help of FBI Special Agent Dylan Rhodes (Mark Ruffalo), the Horsemen — J. Daniel Atlas (Jesse Eisenberg), Merritt McKinney (Woody Harrelson), Jack Wilder (Dave Franco) and new addition Lula (Lizzy Caplan) — mount a meticulously planned surprise appearance, in hopes of exposing corrupt tech tycoon Owen Case (Ben Lamb). But their scheme backfires, exposing Dylan’s involvement with the Horsemen and sending all five of them back on the run. To regain their freedom and their reputations they are forced by wealthy recluse Walter Mabry (Daniel Radcliffe) to recover an unimaginably powerful computer chip stolen by his treacherous former business partner — none other than Owen Case. The Horsemen soon find themselves once again squaring off against unscrupulous businessman Arthur Tressler (Michael Caine) and professional skeptic Thaddeus Bradley (Morgan Freeman) as they attempt to accomplish the most difficult heist of their careers — but even they cannot anticipate the ultimate surprise awaiting them. 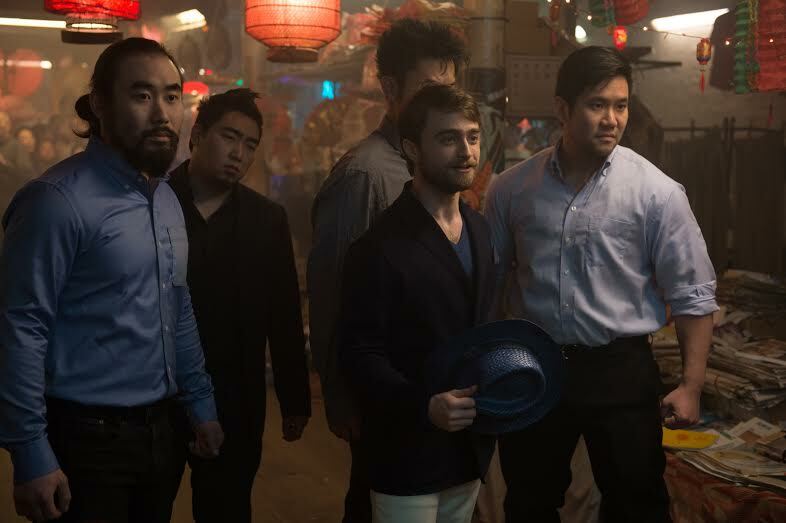 New addition Daniel Radcliffe joins the cast as Walter Mabry, a wealthy boy-wonder entrepreneur in hiding in a fabulous high-rise apartment in Macau. “Daniel has displayed a lot of different sides throughout his career, but this playful, weird, demented side is something we’ve never seen,” explains Chu. What stood out for Radcliffe about the first film were the wide-ranging experiences of the accomplished cast. “It’s such an amazing group of actors, all bringing such different things from interesting and varied careers,” the actor says. “They seemed to be having such a great time together and that’s really compelling for an audience to watch.” A mystery man with a complicated proposal for the Horseman, Mabry will not take no for an answer. His background may be high tech, but his passion is magic. “Now You See Me 2” opens June 8 in cinemas nationwide from Pioneer Films.